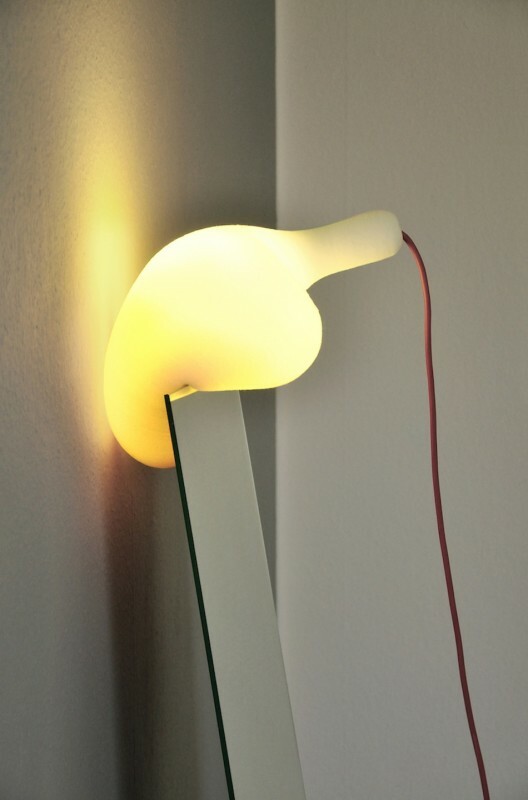 Soft Light is a soft and flexible bed lamp made of foamed polyurethane. Its curvy fluent shape that resembles a calabash pumpkin provokes an organic and familiar appearance for a thoroughly synthetic and industrialized material. 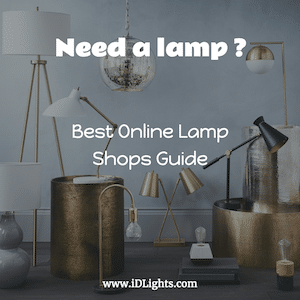 Soft Light bed lamp can be placed in unused spaces like cavities in furniture and other places as an object that fills a void in one’s living environment. Its warm and tangible surface invites to touching and literally feeling light. 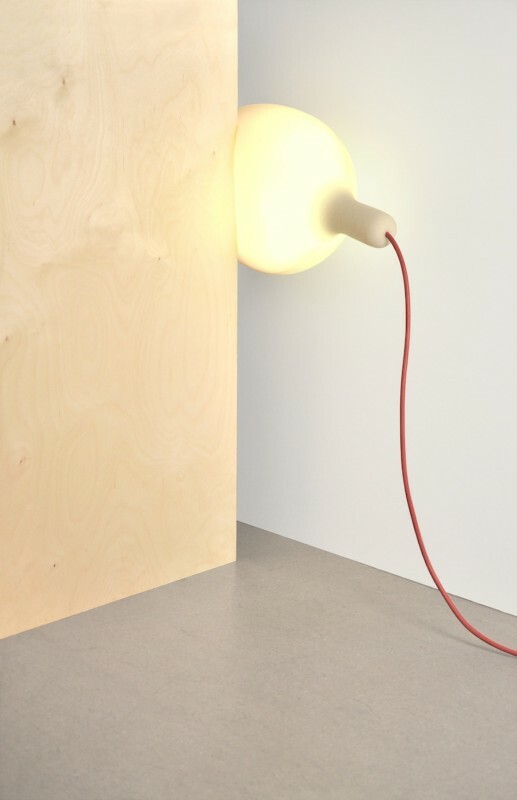 The result is a light which is extremely flexible in use without having a technical characteristic. The light shade has been crafted from a massive block of polyurethane foam on a simple self-constructed device for rotational milling. The device allows for precise production of the desired shape. An energy saving light bulb, protected by a cage, illuminates the porous foam from the inside.